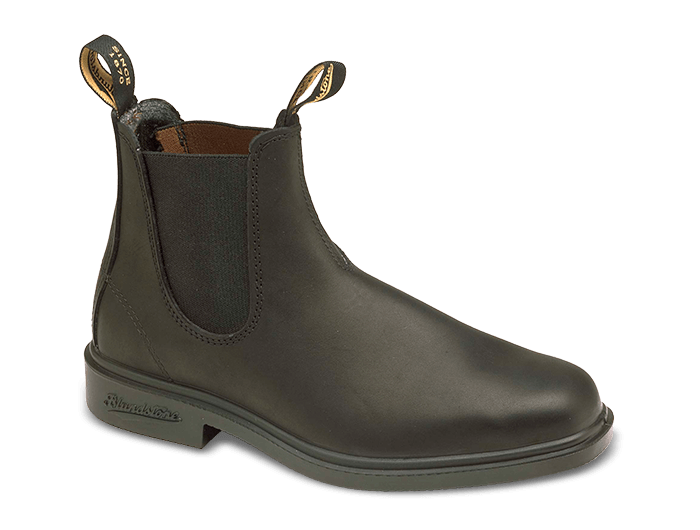 Blundstone 063 Black. This Chelsea boot from Blundstone in Black is so versatile style-wise, but also so adaptable for any use, you could even cut a dashing silhouette at work. All the advantages of the Blundstone patented technology that is so kind to your feet, but with the square-toe styling that would be quite at home on a Vespa. The mods of sixties London woulda killed to be so stylish but still so comfy! Premium matt finished leather for the luxe look. Square toe stye but medium width means perfect for most feet. XRD® Technology in the heel for supreme shock absorption.